When it comes to weapon modifications, there’s a wide selection of different mods and different brands available to you and deciding which works best for your setup and budget can be somewhat of a challenge. However, doing adequate research is imperative if you want a serious setup and would like to get your money’s worth. With regards to laser sights in general, there are a lot of different variables for us to consider when selecting the best option. For example. are you using your weapon largely for defense purposes, or do you simply want to use it for sport (hunting)? Will you be using it during the day or night? Buying weapons mods on the internet or in real-life can be troublesome if you don’t know what you’re looking for. To make your life easier, we’ve selected our picks for the top 5 laser sights for a variety of different weapons, settings, and uses. EOTech is well-known for their remarkable sights and the M6X TLI Tactical Laser Illuminator is yet another masterpiece from the iconic Michigan company. Like all EOTech sights, this laser/light combo is built like a rock, able to withstand the elements and the regular abuse tactical accessories tend to take. 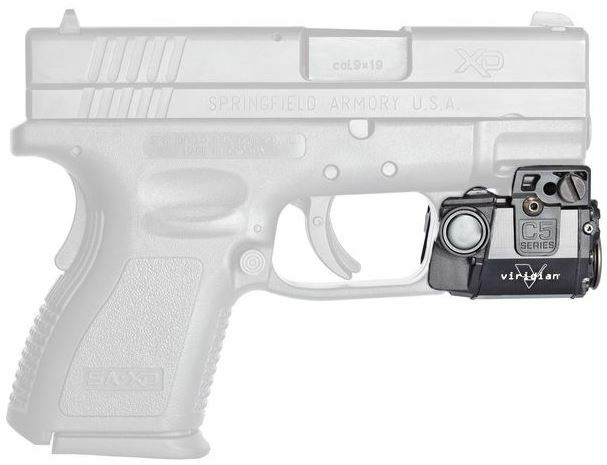 One of the standout features of this combo sight is how user-friendly it is. 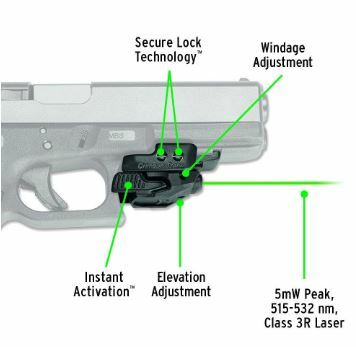 Besides for an easy upkeep, the Mil-Spec M6X is incredibly simple to install. Keep in mind that its decent size may make it too big for pistols, but it will fit like a glove on most rifles, carbines, and tactical shotguns. Viridian Weapon Technologies is beloved for their highly-rated weapon-mounted cameras, tactical flashlights, holsters, and of course, their laser sights. The Viridian C5L-R is not only one of the most versatile sights out there, it is also one of the most durable and reliable. These powerful lasers are extremely user-friendly thanks to their simplistic and ambidextrous design. Furthermore, their small size allows these sights to give you a noticeable tactical advantage on nearly any railed firearm. As an added bonus, the Viridian C5L has a battery life of 20+ hours of continual laser use or 35+ hours in pulse mode. LaserLyte is responsible for some of the most innovative weapon laser technology in the industry, so it should come to no surprise to see their FSL-4 (V4) on this list. 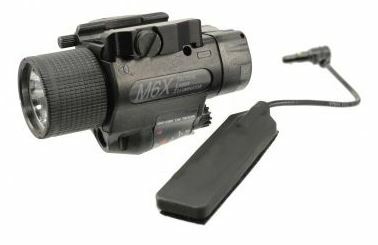 These moderately price sights are nearly universal as they can attach to any firearm with at least a 1” accessory rail. While these sights are outfitted with constant and pulse modes, their battery life is pretty meager (5 hours constant on, 10 hours pulse mode). Even though LaserLyte kept these sights pretty simple, the FSL-4 offers surprisingly high durability thanks to their inner aluminum core and 55% glass-filled nylon body. Streamlight is one of the most well-known names in the firearm accessory industry, primarily due to their unbelievable tactical sights. 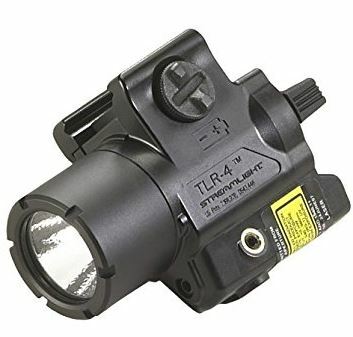 In fact, the TLR-4 Tactical Light with Red Laser is one of the best-selling accessories on the market. Few firearm accessories can boast a reputation for excellence like this sight can with its ambidextrous operation, ultra-lightweight design, and powerful C4 LED technology. If you’re looking for a combo sight that will boost your accuracy, penetrate the darkness, and give you a clear tactical advantage, then this Streamlight is for you. The TLR-4 offers 5300-candela and 125-lumens plus a 640-660nm red laser with a wide operating temperature range. You can’t discuss laser sights without acknowledging Crimson Trace and the CMR-203. This masterpiece is arguably the best laser sight on the market, made by the top-rated laser sight manufacturer in the industry. For starters, the CMR is as universal as they come and can be seen on millions of pistols, rifles, carbines, and shotgun around the world. Although the Crimson Trace has a decently high price tag, most users agree that it’s well worth the money. These sights simply won’t let you down. Few sights can offer the impeccable accuracy, performance, durability, and compact size that the CMR does. Additionally, they gave their highly-rated sight user-friendly ambidextrous controls, easy installation, and three different modes of operation. 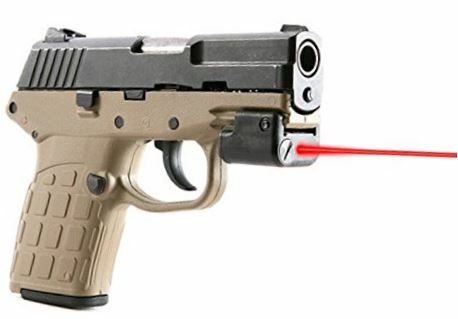 Although the battery life isn’t very long, it’s understandable once you learn that the Crimson Trace sight offers the brightest laser beam allowed by U.S. law. I hope that this short list has helped to give you a better idea of what you can expect to find on the market as well as giving you an idea of the kind of retail-grade laser sights that may be applicable to you and your needs. 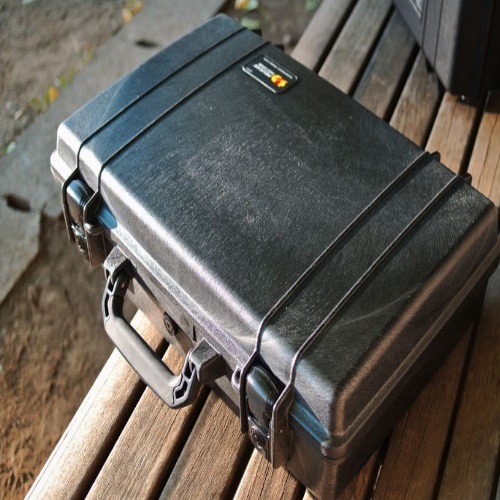 Most of us want a laser sight for hunting or general home protection – so you don’t always have to spend a small fortune on military-grade equipment. However, when it comes to more advanced or tactical uses, spending a good deal of money on trusty and reliable sight can do wonders for your shooting by improving accuracy and reducing collateral damage at the same time. 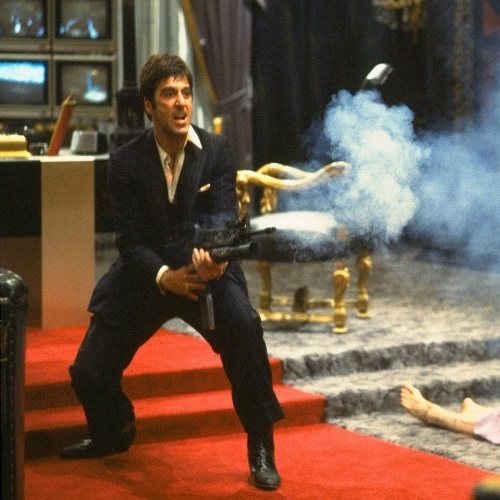 If you don’t have time to line up your sights, a laser sight can really work wonders in ensuring you hit the mark regardless of the weapon you’re using. We hope you enjoyed this Gunivore review – Stay tuned for more of our favorite firearm accessories!